I have a confession. Much as I love cooking, I have a foodie nemesis. That my friends, is curry. Curry dishes are some of my favourite meals but there are only two that I’ve ever managed to create with any success. 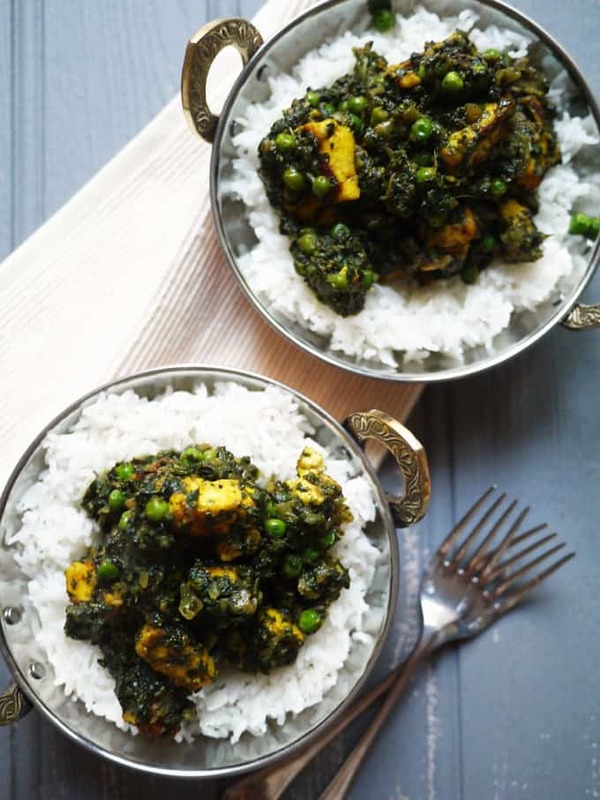 My Skinny Chicken Tikka Masala recipe and this Slimming World Palak Paneer. They always seem too bland or eye wateringly, blow your head off, over spiced. Learning to extend my curry repertoire is on my list of 40 things to do before I’m 40… But in the meantime, here’s this old favourite. Now, let’s be honest. This dish is not a looker, it’s not going to be winning any beauty prizes, but it is curry comfort food at it’s finest. Vegetarian, quick and low fat too – hurrah. If you’re following the Slimming World plan (as I’m trying to) it’s packed with spinach and onion as your superfree foods and it is a brilliant fake-away (see what I did there?) for when you’re craving indian food. Paneer is surprisingly low in fat and so good. If you’ve never tried it, it’s a bit like halloumi but softer. Seriously, who doesn’t love the squeaky cheese? 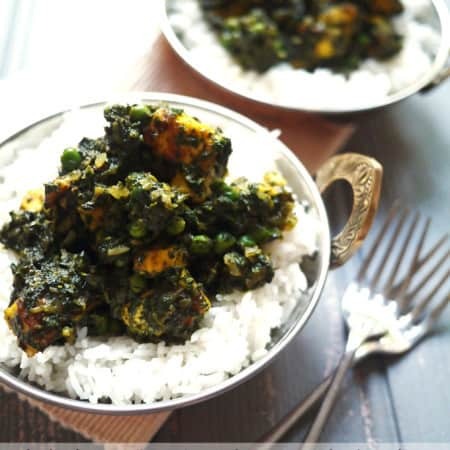 This Palak Paneer is a low fat curry option that is easy to cook and simple for mid week meals. 13.5 Syns for the whole recipe, so 3.5 per serving. 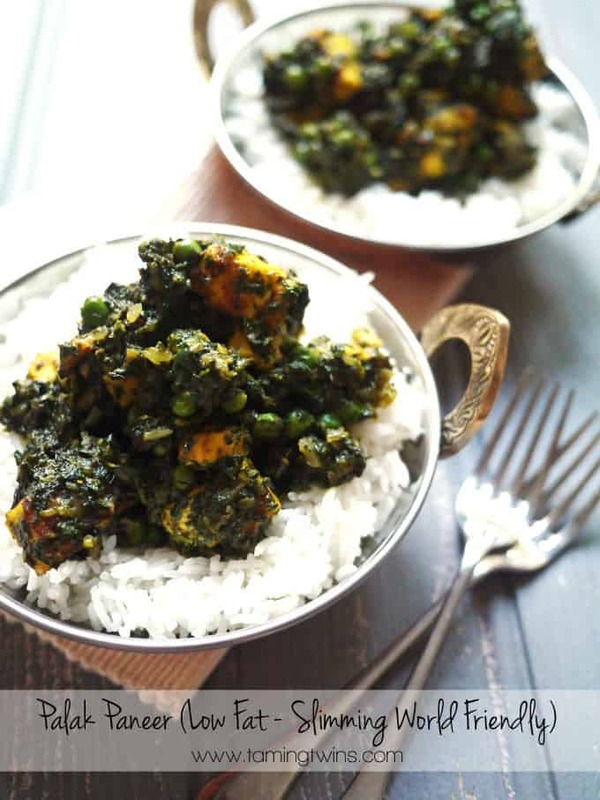 Cut the paneer into bite sized chunks. Place in a sandwich bag with the tumeric, salt and chilli powder. Roll around to coat. 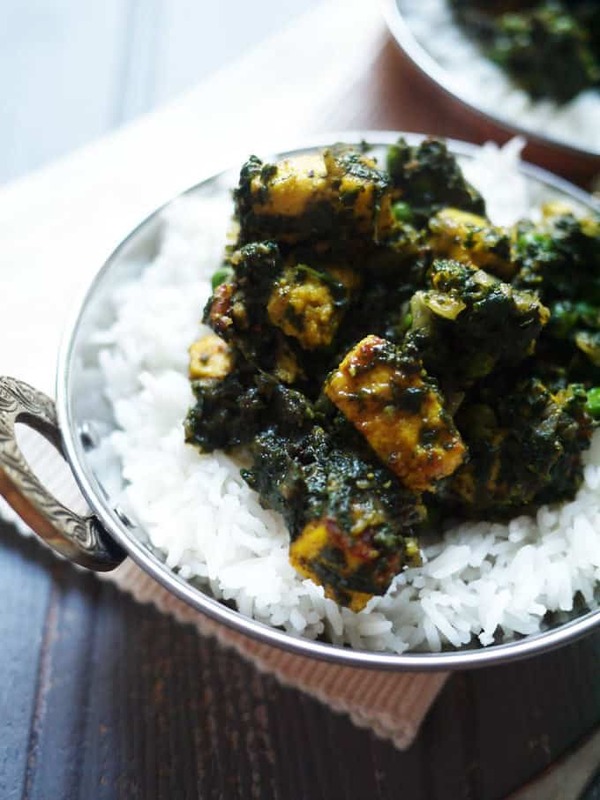 In a hot frying pan, coated in Fry Light spray, fry the paneer chunks in batches until browned on each side, gently turning them over and adding more spray when needed. Transfer them to a bowl as they are cooked. In the same pan, add more spray and the onions, garlic, chilli, ginger, cumin, coriander and fry until soft and golden brown. Add the spinach and cook for 6 or 7 minutes until cooked through. Blend in the pan so that the spinach and onion mixture becomes a smooth sauce. Add some water if you'd like it to be thinner. Add in the fried paneer, peas and garam masala and cook through on a low heat for 10 -15 minutes. Add salt to taste. What’s your favourite curry recipe? Any top tips for improving my curry skills?